Before you rock your braids, weave or other looks this autumn, here are some tips to prepare your natural or relaxed hair. Because our hair is either under- or intertwined with fibre when we do protective hairstyles, it’s important to make sure your hair is thoroughly cleansed and nourished. Make sure to get rid of buildup dirt, dandruff, oil and grease from product use. Wash your hair using a shampoo that thoroughly cleans and conditions. Using a product that is locked with ingredients specifically aimed at natural hair, such as shea butter and olive oil, is important. Natural hair tends to get dry, brittle and breaks easily as we approach the cooler months. Intensely moisturise your hair by deep conditioning and using a product that will assist with locking in moisture and soften your hair. This is vital for both relaxed and natural hair. For the naturalistas, ensure you detangle the hair prior to your protective style, so that the process is smoother and less painful. Everybody wants their natural hair to look and feel healthy and shiny. Apply and leave in a hair mask, which easily rinses off after 15 minutes, leaving your hair replenished and ready for styling. Go for a hair mask that has essential oils like Argan and amla oils. If you do brush your hair, use a detangling brush that will not damage or break your hair, or comb through your hair with your fingers. Giving your hair a trim will assist with removing the tough knots and will prevent hair breakage and shedding whilst you braid your hair. You can start preparing your hair two to three days before heading to your hairdresser, to allow the products to get deep into your roots and fully nourish, moisturise and nourish each strand from root to tip. Make sure to also get products that will refresh and maintain your hair while you have the protective hairstyles. 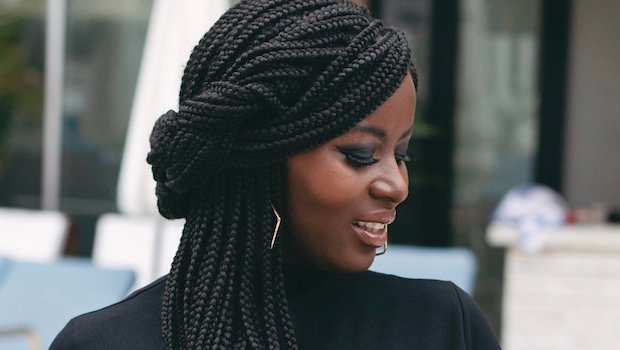 What are crochet braids - and should you be trying this hairstyle out? When wigs are now getting snatched from cars at traffic lights - would you consider hair insurance?